Many thanks to our volunteers who helped get word out about the threats to the Long Beach area’s water supply-Marc(not pictured), Shelly, Joanne, Joan, and Stacy. Great work by The City of Long Beach and all the partner organizations who made it such a success- Fabien Cousteau and the FC Ocean Learning Center, Surfrider Central LI, Operation SPLASH, Ocean Conservancy, Littoral Society, and Skudin Surf and of course the work of middle school teacher and Stewards of the Sea’s Laura Swan and LB high school teacher extraordinaire Cody Onufrock. Join All Our Energy, Surfrider Foundation Central LI, Operation SPLASH, and more for a truly unique and hopeful ocean film that chronicles efforts to plan for a healthy, safe, and sustainable future. 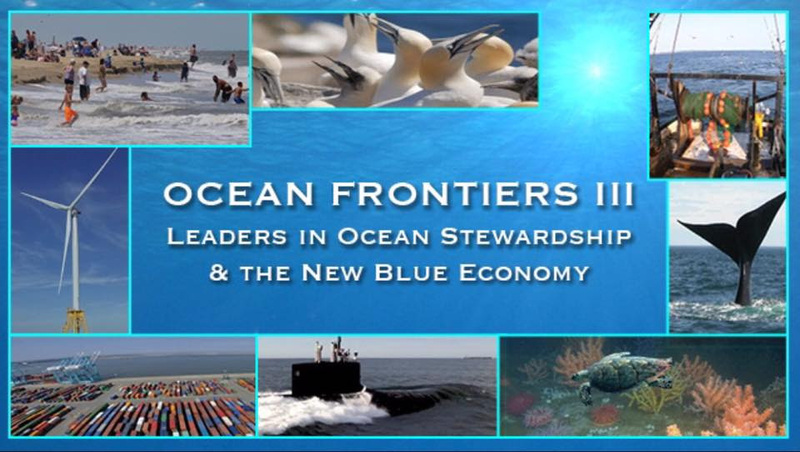 It explores the intersection of national security, maritime commerce, fishing, and recreation, plus expanding industries such as offshore wind energy and aquaculture, coupled with scientific discovery. The film tells the story of how ocean planning helps us manage and balance all the uses of our ocean to keep it thriving for generations to come. Savor rare underwater footage of stunning marine life along the coast from Virginia to Maine and hear from a range of people who are leading the way to a sustainable and thriving ocean. We are definitely gearing up for a fun and meaningful time at the Long Beach People’s Climate March official sister event. Thanks to all who have stepped up to volunteer to make it a success. 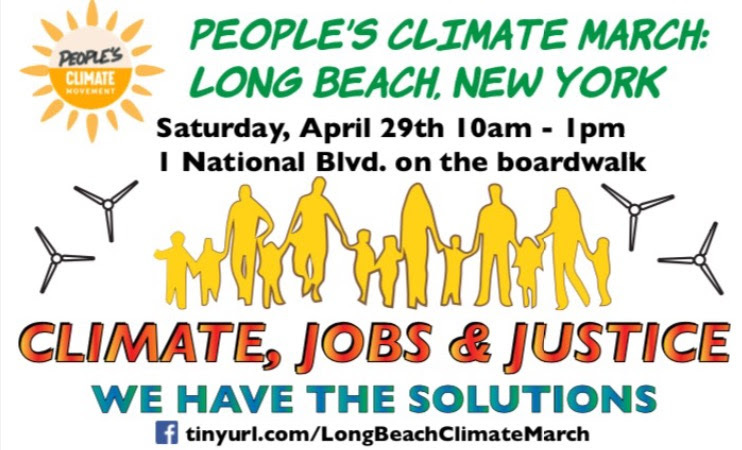 All Our Energy invite you to join us and Sierra Club Beyond Coal, Long Island Progressive Coalition, Sane Energy Project, Interfaith Power and Light, NY Communities for Change and many more for the official People’s Climate March sister event in LONG BEACH on 4/29/17 at 10am. Bring your signs, your art, your smiles, and some friends to stand up for who and what we love. Together we are going to have fun, and make the world we want a reality! 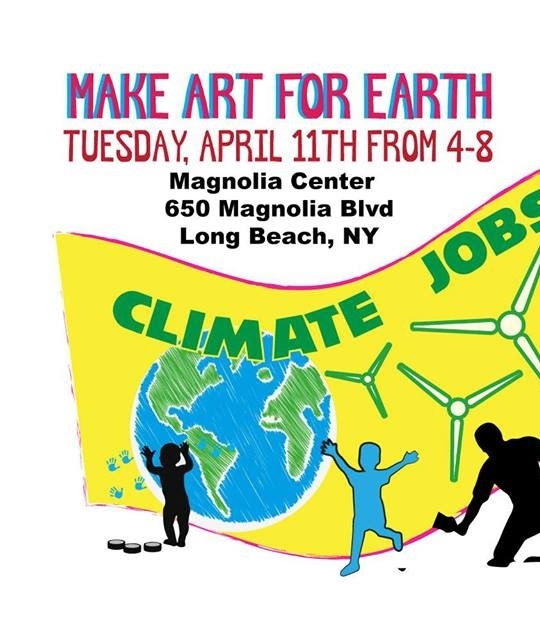 On Tuesday 4/11/17, Laura Swan and Stewards of the Sea will host an art build to make signs and visuals for both that and Earth Day events. Thanks to all that came out to our December Beach Sweep, including Councilwoman Anissa Moore! 94 lbs of yucky garbage, plastic bags, recyclables and debris removed. 4 grody cups, 3 garbage bags, 2 styrofoam blocks and a partridge in a pear tree. Okay just a tire, but we’re trying to get into the season. Thanks for the gift of your help and camaraderie to make our beach shine. 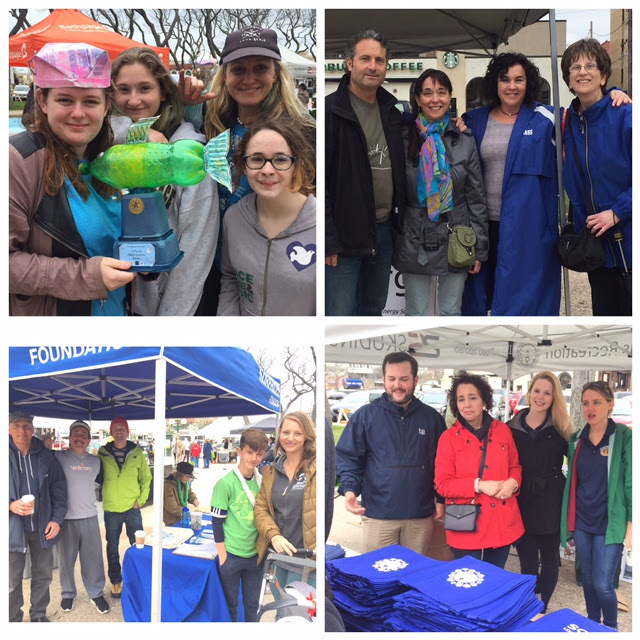 Thanks to our partners The Riverhead Foundation for Marine Research and Preservation, Surfrider Foundation- Central Long Island Chapter,City of Long Beach, New York (OFFICIAL) and the BYO Bag LB team. 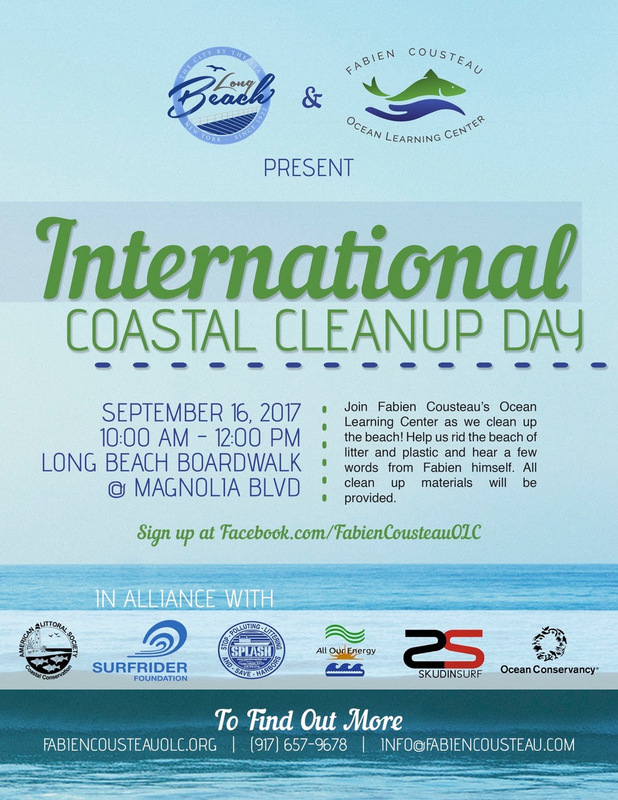 Join our final beach clean up of the season. All Our Energy, the BYO Bag LB campaign, Riverhead Foundation for Marine Research and Preservation, Surfrider Foundation Central LI Chapter, the City of Long Beach and others will get out to clean the beach one last time for 2016. Let’s make it count! Saturday November 5, 2016 was the “Brighten the Bay” clean up on the Long Beach Bay front. Can you guess how many pounds of trash and recyclables were removed? Considering we had all our buckets completely filled within 5 minutes and had to make an emergency run for more contractor bags, If you said anything less than 1,100 pounds, it would be too low. Yes, that’s not a typo- eleven hundred. There were empty propane tanks, bicycles, furniture, engine parts, dock materials, building materials, and all sorts of other discarded items. We also compiled 5 contractor bags of recyclable bottles, cans, metals, plastics, etc. 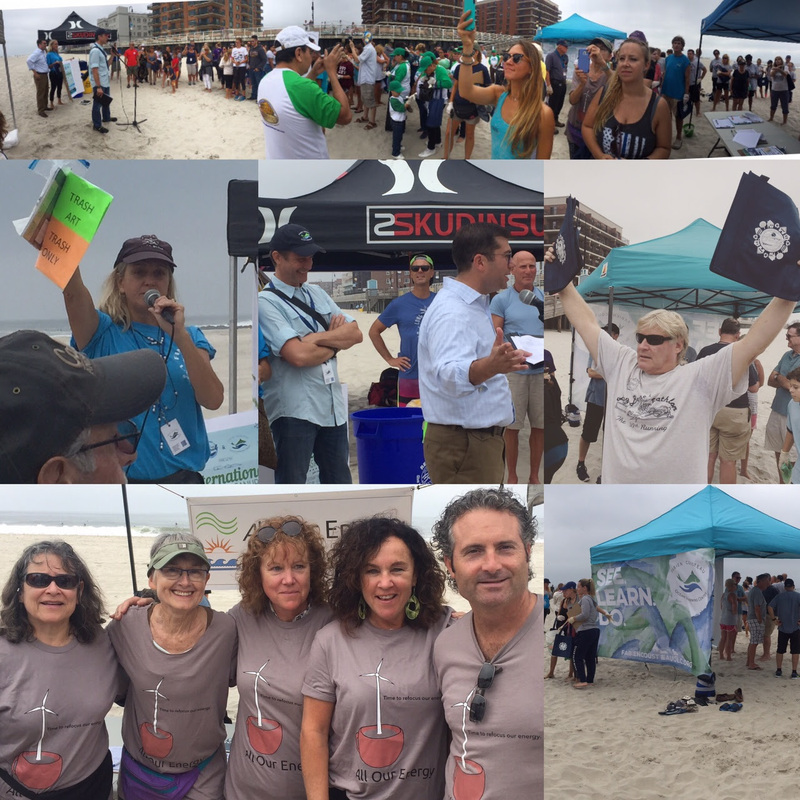 Thanks to Surfrider Foundation- Central Long Island Chapter, The Riverhead Foundation for Marine Research and Preservation, BYO Bag LB, Long Beach Martin Luther King Center and the City of Long Beach for coming together for this. Together, we all made a huge difference! Riverside Blvd at the Bay- Under the water tower. **Protective boots and gloves strongly recommended for waterline area, with plenty of other nearby cleanup needed for those without. Join your neighbors and friends. Make a difference for our bayfront, our residents, and our wildlife; and contribute the results to science. The Riverhead Foundation for Marine Research and Preservation will join All Our Energy, Surfrider Foundation – Central LI, The City of Long Beach and the BYO Bag LB team to collect and document the trash we remove. Be part of it- All materials supplied, all ages welcome with an adult. Thanks to YOU and your voices, an amazing team who did so much work, with some smart officials, and the support of the business community, The City of Long Beach unanimously passed their checkout bag law Tuesday October 18, 2016! First, I want to thank the Long Beach City Council who listened, were forward-thinking and who took action to be the leaders on this issue as the first municipality in Nassau to do so. Thank You to Vice President Anthony Eramo, whose early declaration made it a priority this year and who helped bring our campaign into the city, Eileen Goggin, who helped host more events, Council President Len Torres, Council Members Scott Mandel and Anissa Moore for your attention and perseverance to get this done. Thank you all for your leadership!! The community really came together and you are the reason. Thanks also to City Manager Jack Schnirman and staff Ryan Mc Tiernan who was instrumental in all of this. Thank you to All Our Energy’s campaign partners Surfrider Foundation Central LI Chapter and Sierra Club Long Island Group whose financial, technical, and moral support pushed this campaign through to victory. I thank the other members of the BYO Bag LB leadership team- Amanda Moore, Scott Bochner and Tara Bono for the amazing efforts you have delivered to help this succeed, and my wife, Barbara Hackett, who lived with this campaign 24-7 and helped more than anyone could know. Thank you! We had some incredible volunteers working on this, and none gave more than Stacy Russo, Joanne Moore, Joan Monahan, Robin Csabon, Jo Eisman, and James Mangels, with help and support from All Our Energy team leader Matt Kearns. We were inspired with artwork from Laura Swan and Stewards of the Sea throughout this process that made it vibrant and heartwarming. Thank You. Thanks to the youth team, especially Fin Ashmead, Mia Mangels, Noele Micheman, and Lucy Tomicick. Thank you, to the Long Beach Chamber and so many members who have been instrumental in helping the business community come together. Some individuals who helped make a big difference- Sam Pinto, Bernadette Martin, Georgia Meckes, Joey Naham, Kelly Sullivan, Liz Treston, Mary Velosovitch, Nancy Schulman, Dieter Von Lehsten, and many others, I’m sorry if you’ve been left out! I want to thank the other businesses and organizations that have been so supportive – Sunpower by Empower Solar who have hosted so many meetings and sponsored events. Thanks to event partners Gentle Brew Coffee, Cybernet, East Park Chiropractic, Lift, Bridgeworks, Long Beach International Film Festival who all supported the campaign and we really appreciate it! We got so much support from organizations, too- Sane Energy Project, Long Island Progressive Coalition, Arts in the Plaza, Long Beach Farmers Market, Long Beach Martin Luther King Center, Citizens Campaign for the Environment, Long Beach Parks and Recreation, St James of Jerusalem Episcopal Church, Key Food East, and Key Food West. This is FAR from everyone, so simply by reading this, know I thank you for your support and involvement! Well, this work is far from done. We have 1000 low income residents that need -a full set of reusable bags- and our help to get them. We have many people who still have no idea about this. We have merchants still unaware or with concerns. We will be here to help the transition happen so it STICKS and becomes part of our culture. Hopefully at the same time it will raise consciousness of all plastic, waste, energy, air and water and many other environmental issues and help people address those issues as well. For now, its enough to say- we did it- all of us, I’m glad we took the journey together.